Whenever you're in Colorado Springs, be sure to stop by Manitou Springs. 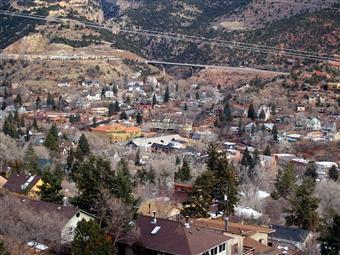 Largely, the properties in Manitou Springs are apartments and historic homes. Pikes Peak - 14,115 foot Elevationtake the train, hike the or drive. Just 14115 feet away Click here to learn more. Garden of the GodsFeaturing: visitor center, hiking, climbing. Only one mile away. Historic Manitou SpringsHistoric town and shopping district Click here to learn more.